Zach LaVine led five Bulls in double figures and Chicago led wire to wire for the first time this season in a 104-88 Martin Luther King Jr. Day matinee win over the Cleveland Cavaliers. LaVine scored 25 points and Bobby Portis added 15 off the bench Monday as the Bulls beat the Cavs for the third time this season. Lauri Markkanen had 13 points and eight rebounds, Kris Dunn added 13 points and nine assists and Jabari Parker scored 10 points for Chicago, which snapped a 10-game losing streak. Cleveland was led by rookie Collin Sexton, who scored 18 points. Ante Zizic scored points and Jordan Clarkson added 12 off the bench. The Cavs are 1-9 in their past 10 games. In a battle of the two teams with the worst records in the NBA, it was the Bulls who came out clicking. They scored the first seven points as the Cavs didn't score for the first four-plus minutes. Sexton finally got Cleveland on the board with a 3-point jumper. 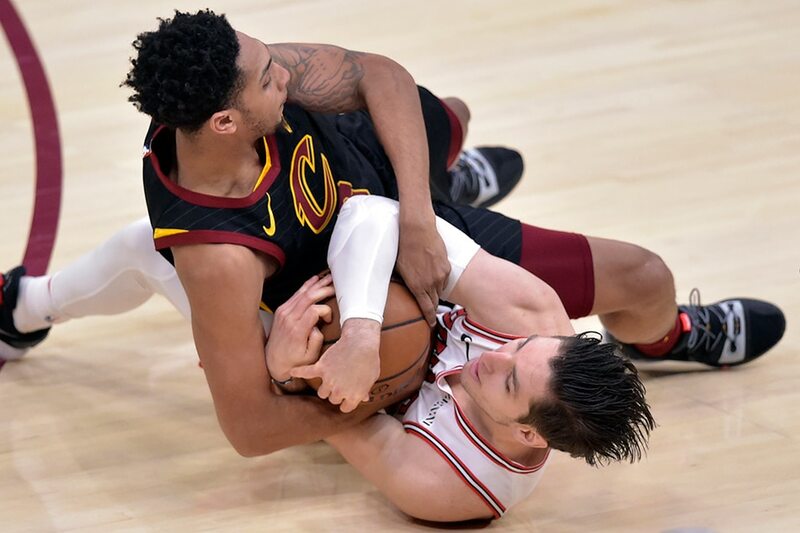 But the Cavs' defense was listless and the Bulls took advantage, opening up a 15-point lead on a Portis 3-pointer with 37 seconds left in the first quarter. Another 3 by Portis put the Bulls up by 16 early in the second, but Cleveland fought back to cut the deficit to 48-42 at halftime. In the third quarter, Chicago built the lead back to 16 as the Bulls wore out the Cavs' 3-point defense. LaVine's step-back 29-foot jumper gave the Bulls a 64-48 lead. The Cavs would not go away, though, and trailed by just 10 when Clarkson connected on two free throws with 1:33 left in the period. Cedi Osman's layup pulled them within nine to start the fourth. But Chicago went on 10-0 run early in the period to put the game out of reach. Chicago connected on 15 of 30 3-point attempts and recorded 24 assists on 36 made field goals.